WE SUPPORT FINTECH COMPANIES IN RAISING CAPITAL AND IN EXPANDING GLOBALLY. We support financial centers to grow and to prosper. We help them to build up the right ecosystems for their financial communities by encouraging cooperation between the various players: domestic and international financial institutions, regulatory authorities, public institutions, universities and business schools, advisors and young start-ups bringing constant innovation. We support financial centers in attracting and fostering new and innovative companies, e.g. so-called FinTechs (=Financial services & Technology). We help to design and to manage the right ecosystems for those companies, taking into account the various needs of FinTech companies: from office space, talent, regulatory advice and seed financing at the beginning up to access to established financial institutions, the regulatory authorities, investors and potential clients at later stages. We also help financial centers to connect their FinTech ecosystems domestically and internationally. This allows FinTech companies to export their business models, to mingle with their international peers, to develop strategic partnerships and to attract foreign talents and investors. We support individual FinTech companies in raising capital and in expanding globally. We do so by providing research & market studies as well as by facilitating access to investors, clients, partners, and peers. We have specialized ourselves on Asian FinTech markets in particular. 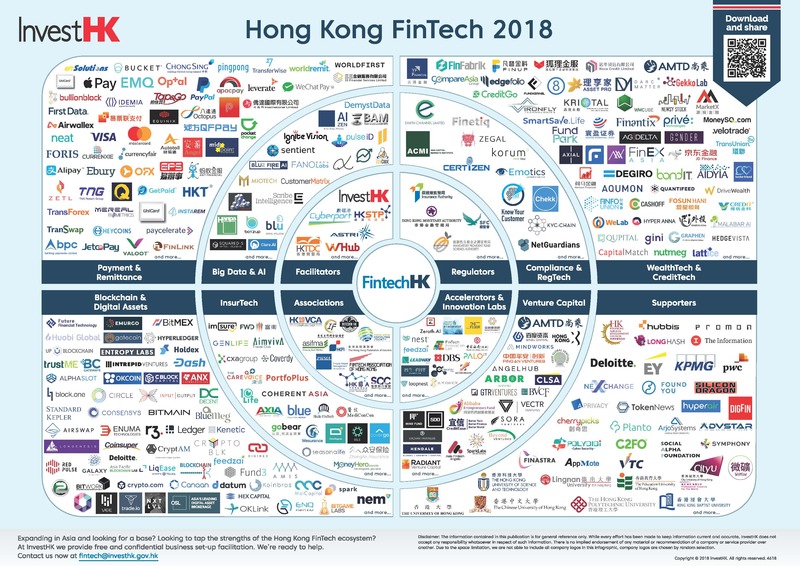 We help European FinTech companies to enter Hong Kong, China, Korea, Singapore and Israel, five leading FinTech markets worldwide. And we support Asian FinTech companies in getting started and doing sales in Germany, the largest economy in Europe, and in the Netherlands, a leading European FinTech hub. Our special focus is on Blockchain technology, as we see an enormous potential in streamlining existing processes at financial institutions and in establishing new innovative services, e.g. in the area of smart contracts and the Internet of Things. Blockchain or Distributed Ledger technologies (like Ethereum, Hyperledger or Corda) have the potential to change the way we register all kinds of transactions, e.g. from selling various financial and non-financial assets. Instead of a central (and potentially vulnerable) central server/database structure, Blockchain offers a decentral and thus more resilient way of handling registries (e.g. for securities) and ledgers. The Blockchain is expected to be faster and cheaper to maintain than other decentralized data storage solutions offering a protection against manipulation. – by providing investors with choices. Exchanges operate fair, transparent and orderly markets, which can contribute significantly to financing the real economy if trusted by domestic as well as international investors. Therefore, they are usually important pillars of financial centers and a matter of public concern. Stock exchanges together with their listed companies compete for investor attention on basis of operational excellence, best-in-class corporate governance standards as well as transparent and liquid markets serving the needs of more and more diverse investor groups. We provide in-depth knowledge about exchange operation across multiple asset classes from pre- to post-trading processes. We offer strategic advice on basis of sound analysis of market specific business needs and we help to develop international business for attracting additional order flow to emerging marketplaces. We support stock exchanges in creating new products for strengthening their domestic markets. Furthermore, we assist in selecting state-of-the-art trading technology from international providers. Biedermann International Consulting, headquartered in Frankfurt am Main, Germany, is a cooperation partner of FinTech Consult since 2016.